Knowing the social media trends for 2015 can help you a great deal in pre-empting what will be successful as a digital marketer. This is the time people are out with full determination, ready to spot the next up and coming social media trend. With the world evolving as fast as it is, it is in your best interests to keep up with the times and be in the know of what consumers are not only looking for these days, but what they are slowly becoming accustomed to. Let us take a look at a few predictions for the year ahead. Although this has been brewing in the pipe lines for a while, it is finally augmented reality’s turn to take centre stage and lead the way. Augmented reality is just a different way of viewing things, literally. It is a way of viewing the physical world with an element of augmentation which is supplemented by a computer-generated supplementary input. Therefore, it is a way to change the way in which you view the world by adding another element through a screen. Yes, it is true, the Facebook team plan to strike again. Last year they bought Whatsapp and this year, are rumoured to be launching a new version of this popular social media platform to challenge LinkedIn. FB@Work will function on a similar basis as the popular currently unrivalled LinkedIn as a social media platform for business professionals. These two were so strong in 2014 however, it is believed they will continue to rise. The two old faithful social media platforms offer instant imagery for your brands to thrive on and can reach thousands of loyal viewers in a few seconds. Watch them (and your social media reputation) rise. Get a bit of help launching and maintaining your professional social media accounts with the help of WSI OMS. 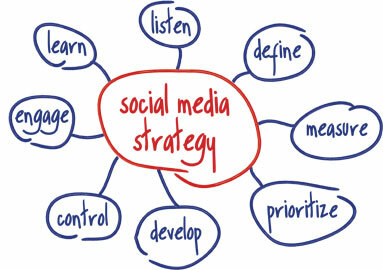 We are a team of highly qualified trained social media professionals with a plethora of services on offer to you. Get in touch with us today and see how we can help you.